While lasers have been effective (and safe) tools for healthcare professionals in the medical field for years, did you know that they are fast becoming a vital tool in the field of dentistry for diagnosing dental disease? Lasers, named from “Light Amplification by Stimulated Emission of Radiation,” are beams of light that are of a single color and wavelength. They also have the unique ability to help dental professionals detect disease in much earlier stages than they have ever before. Diagnostic lasers are very effective in diagnosing pit and fissure decay — the tiny grooves of the biting surfaces that cannot be seen by visual inspection or reached by a traditional dental tool. They are able to accomplish this by producing a glowing effect known as fluorescence, which is produced by the optical properties of early tooth decay. This enables us to treat tooth decay in its earliest stages as well as monitor teeth from visit to visit. Another area where lasers have proven valuable is in the detection and localization of dental calculus (tartar) beneath the gums. Calculus is hardened or calcified bacterial plaque that attaches to the teeth. 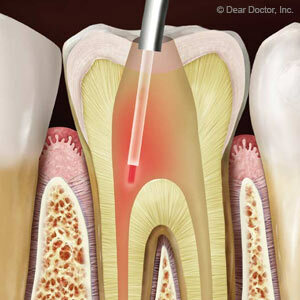 Using lasers, we can find and remove this calculus during periodontal (gum) therapy. Lasers are also helpful in detecting dysplastic (“dys” – altered; “plasia” – growth) or precancerous tissue as well as cancerous tissues. And should we find any of these conditions, lasers are extremely useful in removing tissue close to the margins or edges of where diseased tissue meets healthy tissue. But best of all, lasers are minimally invasive and can result in less tissue removal, less bleeding, and less discomfort for patients after surgery. 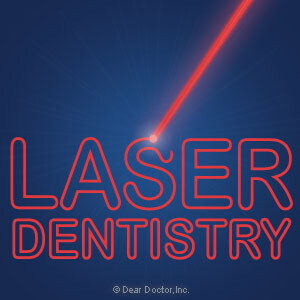 To learn more about lasers and how they are used in dentistry, read the article “Lasers Shine A Light On Dentistry.” Or if you want to schedule an appointment, contact us today.